It’s important to fine tune marketing against a known set of customers and then lift the levels of engagement and subsequent lead conversation you see within those customers. 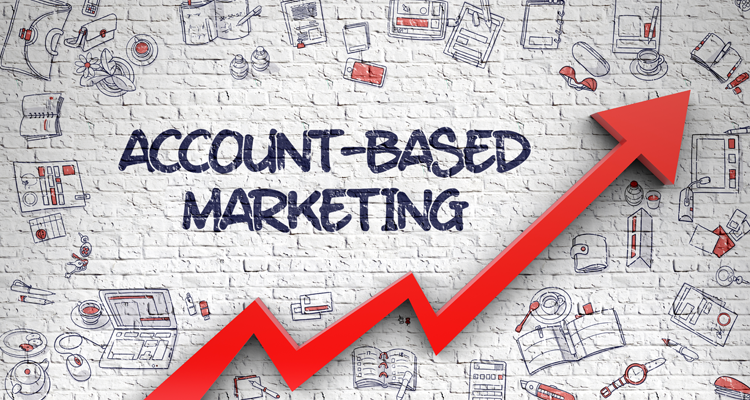 Account Based Marketing (ABM) allows you to target your marketing to only those you’re looking to build business with. We’ve all worked through the scenario where as marketers, we generate a lot of leads, those leads are passed to sales and tossed back because of lack of interest. Now putting aside lead quality, what’s at the heart of this is leads are generated against accounts sales reps are not quoted on. Now the more time you spend, the more selling you do in the enterprise, the more of this becomes true. With that alignment, it allows us to personalise those campaigns which fit certain sets of customers. A few other things that is important for our marketing customers is how do you make sure that you’ve identified the right account list in a way that leads to success. Because the first part of ‘what is the account’ in ABM is a crucial issue. The next question is that traditionally most of the marketing campaigns have been lead focused ones, and should this be different? I think if we take a step back, demand marketing is really about trying to get access to the full buying team. Should account-focused campaigns be aligned with lead-focused ones? Should they be different? LBM: identifies individuals with interest, but falls short when they can’t be mapped to a named or quota based account. ABM: targets buying units, but doesn’t prioritise accounts. A lead-based marketing approach has been identified and built with interest. That can fall short, when the lead is not mapped to a named or quoted account. Whereas ABM, says ‘let’s target the buying units’. So ABM doesn’t prioritise accounts to the pain, but it does prioritise the accounts where someone has thought there’s going to be the pain. So as you’re setting up your ABM system, you just want to be really clear about what are the differences and what does that mean for ‘how you go to market’ where the primary target is not people with the pain, it’s accounts that have been setup. And the focus is not necessarily on volume, it’s more on the right people at the right accounts. You’re not really thinking about a funnel as much as you are to nurture the various accounts. With the technology, you’re able to take a slightly softer approach to this which creates white-space opportunities for you to explore new customers. If any conversation is going to get the sales folks to a meeting, it’s the discussion of white space accounts. And these are the accounts that show a great fit, but there’s never been any consideration to go sell to them. I encourage you to formalise that notion of ‘great fit’, something called an ideal customer profile. And this is a lot about demographics – who are they, which industry they’re in, what size are they, how many employees do they have, and so on. But also it’s about your product fit, it’s about your sales force capability and the capacity. Once you got the ideal customer profile, you can use the attribute modelling using technology solutions, to do things like scoring, so you can find other accounts with those attributes. Then you can find the new homes for the products and services that you sell. And it’s data-driven, which will open up the new more important white space accounts. In terms of the campaigns themselves, should the account-focused campaigns be aligned to the lead-focused ones? It’s the part of the continuum. The sales process is slightly different. It’s less funnel-based. But that doesn’t mean you won’t be doing funnelled activities elsewhere, particularly deciding across the range of businesses, across geographies and sizes. Marketing needs to deliver leads from within these accounts and be able to measure marketing engagement within these accounts. Are You Selecting Accounts The Right Way? How Do You Prioritise ? Talk to Sales! Talk to Sales! Talk to Sales! Be data driven and develop an “ideal customer profile”. Verticals / geography / category are common segmentation approaches. Use technology solutions to help find “whitespace” through look-alike modelling, predictive scoring and intent. And once you’re in a place where you’re predictably scoring accounts, where you can look forward with confidence, then the tone of the conversation changes enormously. Are my target accounts engaged in the marketing that I’m producing and I’m responsible for? How do they compare against one another? Are certain accounts responding better to a certain sort of message, or a certain channel than others? My investments in ABM, are they lifting conversion rates, because as touched on earlier, personalisation does come at a cost. We offset that with technology, but inherently you have to know more about the customer, you’ve got to be more targeted and there is more work involved with that. fine-tune and filter those existing account to these targets. Alongside that, the ability to do named account content syndication, or a content marketing program so that as soon as we sense activity from one of the named accounts, we’re sending the content that is attuned at the topic level to that activity, so that you’re getting in front of them very quickly. The big marketing idea is purchase intent, and trying to find not just the accounts that are active in there, but the individual contacts that are generating activity, they’re doing the search online, they’re fully driven by their own initiative not by some cold call. With significant years in IT industry, Rahul is an author and poet. He works in the areas of Sales and Solution Support Consulting. A certified consultant in Sales and Marketing Advisory services, Rahul is also a member of "Academy of American Poets” and loves to explore his poetic writings to drive creative transformations in his works. With his viewpoints covered in several media publications, Rahul likes to write in the areas of Sales Effectiveness, Technology and Business Marketing.